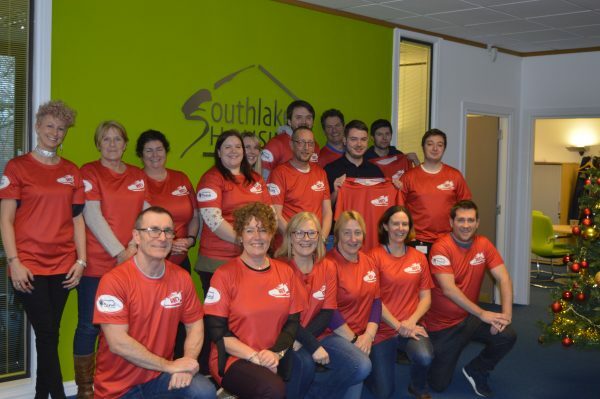 Employees of South Lakes Housing are taking part in the R.E.D January challenge to raise funds for local charity ‘South Lakeland Mind’. R.E.D stands for ‘Run Every Day’ during the January which encourages participants to undertake a month-long challenge to run, walk, swim or any other exercise each day, every day. Over the next 31 days staff will be doing something active to raise awareness of mental health issues whilst raising money for this local charity. Louise Matthews (participant) said, “It is a great incentive to get out and do some exercise that I normally would not be motivated to do, but we also get to raise awareness of mental health issues which is close to my heart. I suffer with depression and social anxiety issues I am hoping to get some benefits, as research shows it improves your mood and reduces anxiety by releasing endorphins. It helps takes your mind off worries, helps you gain confidence and helps you cope in a healthy way”. The programme is being conducted alongside other initiatives including the Active Cumbria Workplace Challenge so the exercise won’t just stop at the end of January.